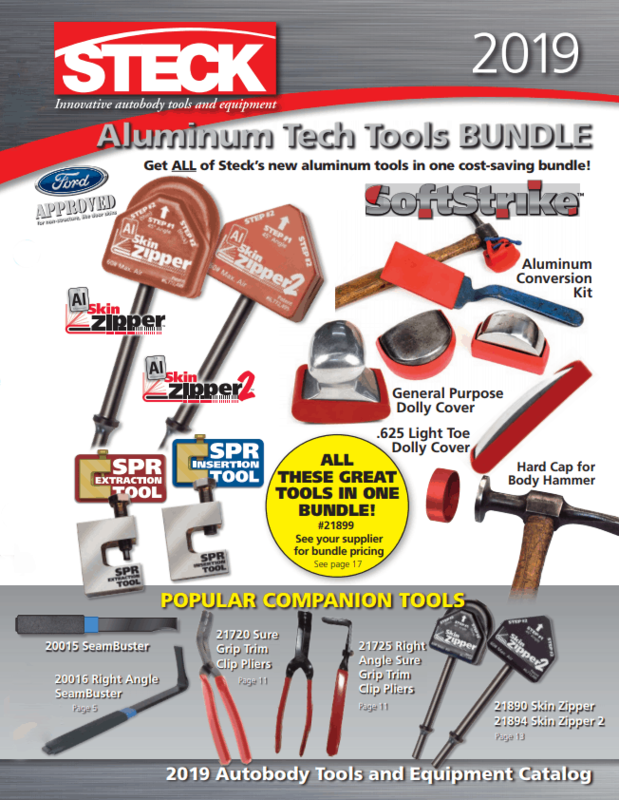 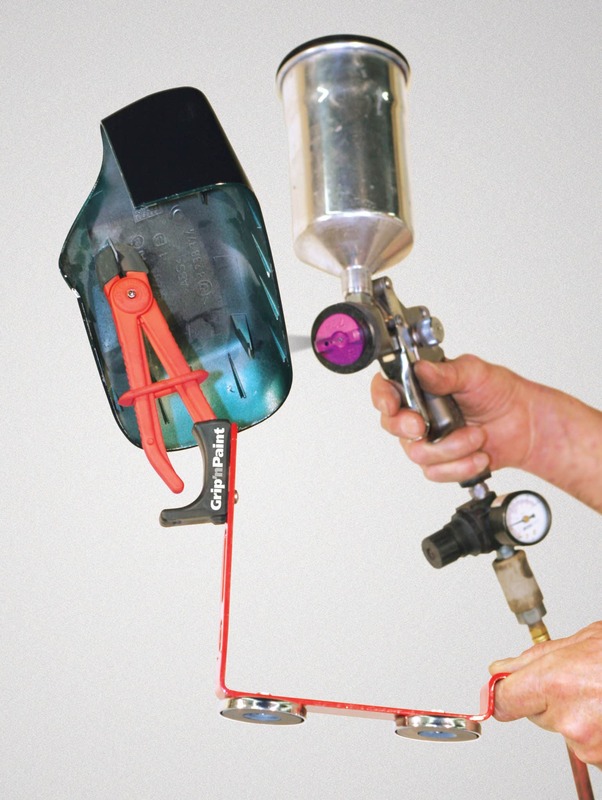 The already poplular Paint ‘n Stick expands its capabilities with the addition of the Grip ‘n Paint Pliers, locking pliers for smaller parts that attaches directly to the Paint ‘n Stick. Steck’s Paint ‘N Stick Combo combines the capabilities of the Paint ‘N Stick (#35660) for easy painting of traditional outside mirror assemblies with the adjustable 6 inch Grip ‘N Paint Pliers (#35661) with its locking handle to hold light weight mirror covers and small parts. 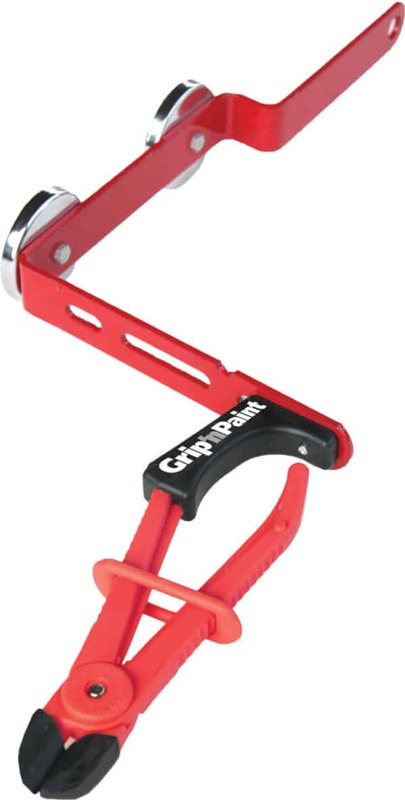 The padded Grip ‘N Paint Pliers grip well and gives the technician the flexibility of holding the part vertically or horizontally to easily paint all angles preventing paint runs. 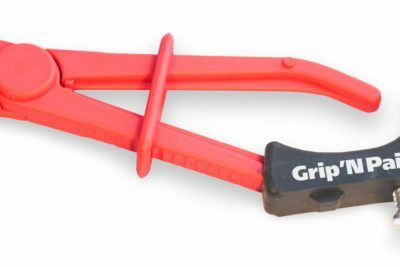 Grip ‘N Paint Pliers are specifically designed to fit into the two top slots of the Paint ‘N Stick with its molded guide and mounting screw will securely hold the clamp and components both vertically and horizontally. 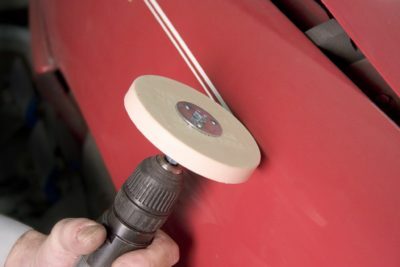 Powerful magnets included with the Paint ‘N Stick allows the technician to attach painted parts and traditional mirror assemblies to the wall of booth or hang it up for drying. 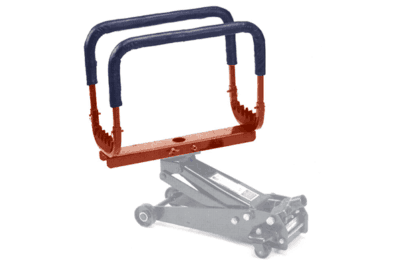 Labor/Material Savings: Saves up to 10 minutes of set-up time by eliminating the need to find creative ways to hold mirrors, covers and trim parts during the paint and drying operations improving quality of work.